Modern businesses are well aware of the key role data plays in improving their performance. Most of them have in place elaborate systems for storing and managing these assets. However, many corporations still do not have a data governance strategy in place. In the absence of a clear data governance approach, it is nearly impossible to guarantee the availability of usable information elements on a regular basis. There must be a monitoring system in place so that the data being fed to users and tools helps generate accurate analyses. Bad or low- quality information is the same as having no data. It will only lead to erratic evaluations which will affect the quality of decision-making at the enterprise. The organization will fall behind in meeting business goals which will affect its revenue stream. As data sets become varied and more complex, it becomes all the more essential to have a governance mechanism in place. The following list of reasons will convince business owners who still do not have a suitable monitoring framework for overseeing their information management program. Data is considered as an asset by modern entrepreneurs. However, not every element will be valuable for an organization. A large amount of information being accessed by corporations makes it essential to have a system which helps identifies vital assets. Governance will help spot redundant and unnecessary elements which do not serve any purpose. These stale and superfluous data sets will only be hogging precious storage space on servers and systems. Moreover, the executives will be using this low-quality information to make vital business decisions. There are some pieces of information which become useless after a period of time. It is impossible to detect such elements without a monitoring mechanism. Governance, being a continuous initiative will always spot such anomalies and remove them from the company’s digital ecosystem. One of the biggest benefits of engaging data governance consulting firms or experts is the maintenance of data quality. It is necessary to preserve the sanctity of the assets as only the can it be processed to generate useful analyses. Governance not only identifies valuable assets but also defines the rules for using, transferring, storing, and processing the elements. The program appoints stewards who check whether the specified rules and protocols are being followed across the organization. An error-reporting system is also set up as part of the initiative. The stewards also make sure that all the complaints are addressed quickly. This ensures in preserving the consistent nature of all the information for as long as it stays in an organization. A common problem seen in data management programs is multiple interpretations of the same data set. This can occur because of the absence of clear and standardized metrics. This leads to users in various sections to derive different meanings from the same element. Separate solutions and tools are used by the different departments of a business. These tools generate varied reports leading users to think that the solutions are faulty. However, the problem lies in the configuration of the tools and not their composition. An integral part of a data governance strategy is to define clear rules for processing each piece of information. This facilitates error-free and consistent analyses which provide accurate input to users. Correct and sanitized data is essential for conducting precise evaluations and draw accurate assumptions. Data lifecycle management is required to maintain consistency and quality of information assets. Governance helps supervise all the four phases of an element’s life- creation, storage, usage, and redundancy. While the stakeholders decide the methods of usage in all the stages, it is the stewards who ensure that the specified appropriate procedures are followed during the processes. The governance team sees to it that information is accessed only from the sources identified as the best by the organization. It frames the supervisory plan for all the policies implemented as part of the data management program. The value attached with data makes it an attractive target for unethical elements like hackers. They are always looking out for opportunities to steal these assets. Even large organizations with state of the art infrastructure have not been spared by attackers. The increasing cases of data theft jurisdictions around the world to enact laws for protecting the private information of their citizens. The General Data Protection Regulation (GDPR) of the European Union is an example of such a law. These regulations make the organization accessing the personal data of individuals responsible for its safety. A violation of the law attracts strict penal action from the authorities. A governance program will make sure that all the data sets, as well as associated processes, are under constant supervision. This will help in the protection of the assets and make sure the enterprise complies with the law. Effective governance has a positive impact on the efficiency of an organization. Systematic monitoring ensures the availability of consistent and standardized elements. It also helps in spotting and eliminating any errors. All these factors improve the confidence that workforce has in the data. They trust the information and use it in innovative ways. This improves the quality of decision-making which, in turn, enhances the productivity of the business. 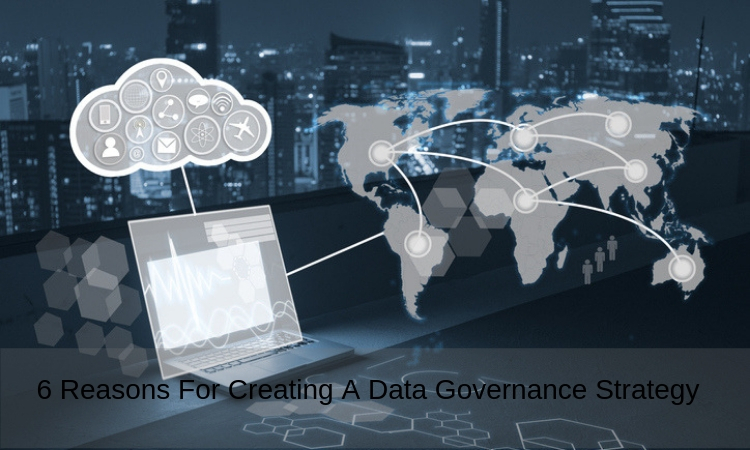 A data governance strategy is necessary for the efficient running of the information management program. It allows businesses to optimize the potential of their data assets and take decisions to improve their performance. What is the scientific name of all vitamins?